Sonoma County Winegrowers, Sonoma County Vintners, and Full Circle Wine Solutions periodically band together to showcase Sonoma County’s sixteen AVAs. Their Sonoma in The City event was held recently at The Montage Hotel in Beverly Hills. And lest you think this was purely about Pinot Noir and Chardonnay [make no mistake, there were excellent examples of both varietals represented], the event was designed to really showcase the county’s diversity of terroir and wine varieties. Anakota & Cenyth Gary Farrell Vineyards & Winery Pali Wine Co. The 2012 Dry Creek Valley Zinfandel being poured by Kelly Comstock Ferris, partner and general manager of this very new winery, was simply outstanding. I realize this is not a new winery, but they do have a fairly new owner – Jake Bilbro who with his brother Scot is making outstanding wines. Loved the 2011 Russian River Zinfandel and the 2011 Syrah Grenache blend, also from the Russian River Valley. While I am not typically a holiday-weekend traveler, I jumped at the opportunity to attend Sonoma Wine County Weekend, an annual event held over Labor Day Weekend. Produced by the Sonoma Valley Vintners & Growers Foundation and the Sonoma County Vintners, the events of the most recent festival raised more than $1.6 million for Sonoma County non-profit organizations. Festivities started on Friday, with various winemaker lunches at wineries all around Sonoma County, and continued into that evening with winemaker dinners at several other wineries. The main event that night was the “Sonoma Starlight Supper Club” extravaganza held at Francis Ford Coppola Winery, but you couldn’t go wrong with any of the other venues. I already wrote about our memorable evening at Idell Family Vineyards. Saturday was devoted to the 33rd annual Taste Of Sonoma. Held at the beautiful MacMurray Ranch, the festival showcased more than 170 wineries and over 60 local chefs. 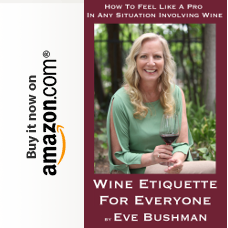 Conveniently divided into four tasting areas for the major growing areas of the Sonoma County, the set-up of the venue and the layout of the facilities contributed to one of the best run events I have attended. And while the organizers can’t claim credit for the great weather, that couldn’t have been more perfect as well. The festival also includes food and wine demonstrations and seminars, all contributing to an amazing day. Stryker Sonoma – 2010 Estate Zinfandel, Patty’s Patch Vineyard. Trentadue Winery – 2010 La Storia Reserve Zinfandel Alexander Valley. John Ash & Co. – Housemade Lamb Pastrami on Rye Rolls with Housemade Sauerkraut and Dijon. Del Carlo Winery – 2008 Old Vine Zinfandel, Teldeschi Vineyard, Dry Creek Valley. Sizzling Tandoor – Chicken Tikka Masala and Naan. Acorn Winery/Alegria Vineyards – 2009 Acorn Estate Syrah, Acorn Vineyards, Russian River Valley. Limerick Lane Cellars – 2010 Trellis Block Estate Syrah, Russian River Valley. Wind Gap – 2009 Syrah, Griffin’s Lair Vineyard, Sonoma Coast. Trecini Winery – 2009 Rockpile Zinfandel, Rockpile. Rendez Vous Bistro – “Vous” Chu Pork. Anaba Wines – 2010 Viognier, Landa Vineyards, Sonoma Valley. Annadel Estate Winery – 2009 Estate Winery Monte Rosso Zinfandel, Monte Rosso Vineyard, Sonoma Valley. B Wise Vinyards – 2009 Estate Syrah, Sonoma Valley. Enkidu Wine – 2008 Humbaba Rhone Blend, Sonoma County. Hoffman Family Cellars — 2010 Headbanger Zinfandel, One Oak Vineyard, Sonoma County. Keating Wines – 2010 Zinfandel, Montecillio Vineyard, Sonoma Valley. Little Vineyards Family Winery – 2010 Syrah, Little Vineyards, Sonoma Valley. Spann Vineyards – 2009 Mo Zin Red Blend, Sonoma County. Westerhold Family Vineyards – 2009 Estate Syrah, Bennett Valley. El Dorado Kitchen – Chilled Corn Soup with Dungeness Crab, Chili Oil and Almonds. Some of the tents received more comments from me than others, but that was only because I did not keep as careful notes I as I should have. One could have spent the entire festival in any one of the tents and been more than satisfied. The weekend officially ended on Sunday, with winery barbecues and the main event that day at Chateau St. Jean winery in Kenwood: the Sonoma Valley Harvest Wine Auction. Alas, we could not stay for Sunday’s festivities, but made a vow that next time we attend Sonoma Wine Country Weekend we would arrive earlier and stay later! 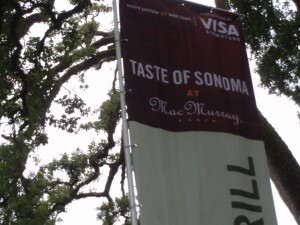 The full flavors of Sonoma County will be in the spotlight at the 33rd annual Taste of Sonoma at MacMurray Ranch in Healdsburg, California on Saturday, September 1, 2012 as part of the 5th annual Sonoma Wine Country Weekend, presented by Visa Signature®. 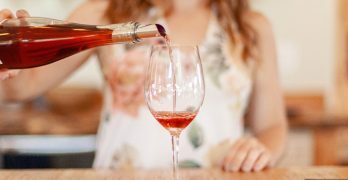 Taste of Sonoma at MacMurray Ranch is a day-long event that features more than 170 wineries and 60 of Sonoma County’s top chefs and food purveyors as well as a multitude of educational and entertaining events staged at a quintessential, “only in Sonoma” setting. Kate MacMurray is the honorary host of Taste of Sonoma at MacMurray Ranch which takes place on the historic property and vineyard site that her father, the late actor Fred MacMurray, purchased decades ago. Guests are invited to sip and savor while soaking up the experience of the intimate site. MacMurray Ranch is rarely open to the public and tickets should be purchased early as this event has grown in popularity and is anticipated to again sell out. “In addition to wine and food, guests at Taste of Sonoma at MacMurray Ranch can participate in seminars, take a personalized tour of the event with a Sommelier Star, watch the ever-popular Sonoma Steel Chef Competition, luxuriate at the Gloria Ferrer Bubble Lounge, learn from a pro at the live Cooking Light Grill or elevate the entire experience by going to the newly-expanded Club Reserve for exclusive wine tasting,” added Maureen Cottingham, Sonoma Wine Country Weekend Co- Director. Taste of Sonoma at MacMurray Ranch is set for Saturday, September 1 from 11:00 a.m. to 4:00 p.m. at MacMurray Ranch, 9015 Westside Road, Healdsburg, Sonoma County, California. Tickets for this single event are on sale now at www.SonomaWineCountryWeekend.com for $150 per person for General Admission or $195 per person for Grand Reserve tickets which allow additional privileges throughout the event and access to exclusive venues that will feature rare wines, gracious hospitality and special behind-the-scenes benefits. Produced in partnership by the Sonoma Valley Vintners & Growers Foundation and the Sonoma County Vintners, the 2012 Sonoma Wine Country Weekend event features the Taste of Sonoma at MacMurray Ranch®, the Sonoma Starlight Supper Club at Francis Ford Coppola Winery sponsored by Kaiser Permanente, the 20th Annual Sonoma Valley Harvest Wine Auction at Chateau St. Jean sponsored by TricorBraun WinePak, and an assortment of additional winery-hosted events throughout Sonoma County. The 2012 Sonoma Wine Country Weekend Honorary Co-Chairs are selected for their wine industry leadership and community service. Honored this year are Margo and Don Van Staaveren, Chateau St. Jean as the Winery Co-Chairs and The Robert Young Family as the Grower Co-Chairs. Proceeds from Sonoma Wine Country Weekend support Sonoma County non-profit organizations. To date, a cumulative total of more than $11 million has been donated directly to Sonoma County non-profits by the local wine community through this event. Tickets, which range from $85 to $500 per person, are on sale now. Many events sell out, so prospective attendees are encouraged to purchase early. Presenting Sponsor Visa Signature is also offering cardholders event perks and savings. For more information visit www.SonomaWineCountryWeekend.com, like it on Facebook at http://www.facebook.com/winecountryweekend and follow on Twitter at http://twitter.com/SonomaWCW. Sonoma Wine Country Weekend is presented by Visa Signature which offers account holders a range of benefits that provide special access and can save time and money. In addition to points, miles, cash back or other premium rewards offered by Visa Signature partners, account holders enjoy perks such as 24/7 complimentary concierge services, the Visa Signature Luxury Hotel Collection and exclusive offers for fine wine and food, travel, and sports and entertainment events. For more information on Visa Signature and issuers offering Visa Signature visit www.visa.com/signature. Nestled in the heart of the Russian River Valley, the historic MacMurray Ranch is home to award-winning Pinot Noir, Chardonnay and Pinot Gris. MacMurray Ranch Winemaker Chris Munsell crafts a collection of elegant, expressive wines from cool-climate vineyards in California and Oregon, reflecting a passion for the special places that create extraordinary grapes. Kate MacMurray, daughter of Hollywood legend Fred MacMurray, remains deeply connected to MacMurray Ranch, carrying on the legacy of this iconic Sonoma landmark. Learn more at www.macmurrayranch.com. Francis puts it best, saying the winery is, “A wine wonderland, a park of pleasure where people of all ages can enjoy all the best things in life – food, wine, music, dancing, games, swimming and performances of all types. A place to celebrate the love of life.” Francis Ford Coppola Winery is located at 300 Via Archimedes in Geyserville, California, accessed from US HWY 101 and the INDEPENDENCE LANE exit. Among the many unique attractions at the property, Francis Ford Coppola Winery features wine tasting, two restaurants, a swimming pool, a movie gallery, a performing arts Pavilion and a park area with game tables and bocce courts. Francis Ford Coppola Winery opens at 11 a.m. daily. 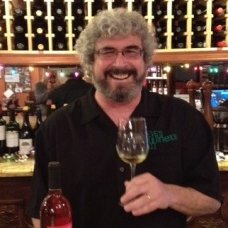 For more information, call (707) 857-1400, toll free (877) 590-3329 or visit www.FrancisCoppolaWinery.com. Founded in 1973 in the Sonoma Valley, Chateau St. Jean is the quintessential Sonoma winery. Chateau St. Jean produces an extensive portfolio of Sonoma County wines as well as vineyard designated wines, limited production Reserve wines, and the flagship Cinq Cépages Cabernet Sauvignon. 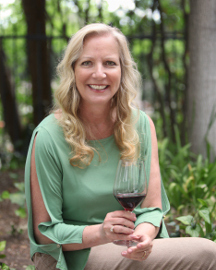 Winemaker Margo Van Staaveren, who was named “Winemaker of the Year” for 2008 by Wine Enthusiast Magazine, has been with Chateau St. Jean for over 30 years. Chateau St. Jean is the first Sonoma winery to be awarded the prestigious “Wine of the Year” award from Wine Spectator Magazine for its 1996 Cinq Cépages, a Bordeaux style blend of “five varieties” and has long been recognized as a leader in vineyard designated wines. For more visit www.chateaustjean.com. A partnership between Sonoma Valley Vintners & Growers Foundation and Sonoma County Vintners, Sonoma Wine Country Weekend is California’s premier wine, food and social event, taking place on Labor Day weekend each year. The events comprising Sonoma Wine Country Weekend have raised over $11 million in support of local charities that benefit students, children, farm workers and people in need. The 2012 Sonoma Wine Country Weekend is presented by Visa Signature®. In addition to Visa Signature, Sonoma Wine Country Weekend sponsors include: TricorBraun WinePak, MacMurray Ranch®, Buick, Cooking Light, Wine Spectator, San Francisco Magazine, Chateau St. Jean, Francis Ford Coppola Winery and Kaiser Permanente. 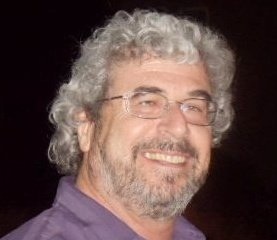 For a complete list of beneficiaries and sponsors, please visit www.SonomaWineCountryWeekend.com. The Sonoma Valley Vintners & Growers Alliance (SVVGA) is a non-profit trade organization serving over 500 members who share a mission to promote awareness of Sonoma Valley’s grapes, wine, and history as the birthplace of the California wine industry. The Sonoma Valley Vintners and Growers Foundation (SVVGF) is a non-profit 501c.3 organization that has raised over $8,000,000 for local Sonoma Valley charities. For more information on the SVVGA and SVVGF, please visit www.SonomaValleyWine.com. Sonoma County Vintners (SCV) is the leading voice of Sonoma County wine, dedicated to raising awareness of Sonoma County as one of the world’s premier wine regions, noted for its heritage of artisan winemaking, distinct growing regions, and extraordinary quality. Founded in 1944, SCV represents more than 175 wineries of all sizes throughout the county. Learn more about SCV at www.SonomaWine.com. Sonoma In The City is the touring Taste of Sonoma event presented by Sonoma County Vintners, Sonoma County Winegrape Commission, Sonoma County Tourism Bureau and Full Circle Wine Solutions. I had the pleasure of attending the trade/media portion of this event held recently in Los Angeles at The London hotel in West Hollywood.